My Sunday Photo – March 5th, 2017. Peace by G E Wade. I’ve always been fascinated by Norwich’s Boer War Memorial. She’s sited at a busy road junction in the city centre so I’m sure loads of people drive by and wonder about her each day. I finally got a good look at her this week from the top deck of a bus – although it wasn’t great for taking photos. I’ve added a bit of drama to this one as the original was pretty poor. I like the way it looks like her bronze wings are glowing. Luckily the clouds were amazing that day so she already had a great backdrop. I hope to go back and get some better photos. Please check out what other people have submitted for #MySundayPhoto this week by clicking the camera below. 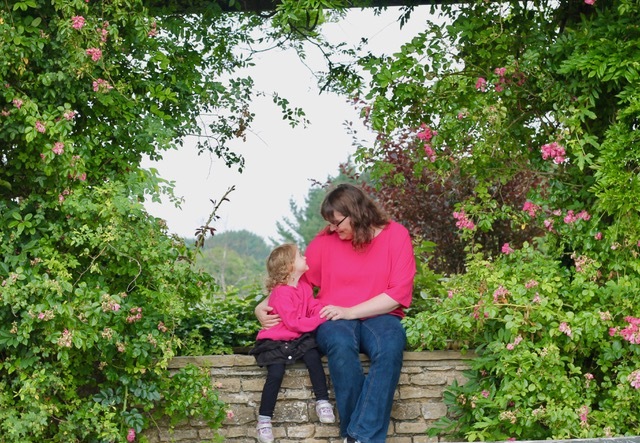 Previous postLife, The Universe And My Three-Year-Old. Next postBest Personal Blog 2016 – Thank You. She really is, the photo doesn’t really do her justice. She is certainly a stunning statue and I like the bit of colour you’ve added to her to bring her to life. Actually all I did was add some light and the colour appeared. I think that’s why I liked it so much. Thank you. It’s quite hard to see her from a car, isn’t it? Thank you. I bet she’s seen some things too (as she’s close to the city centre nightclubs). Thank you. It was a moving bus too. Yes, that’s the one. How funny. I think because of where she is a lot of people just drive by without really noticing her. It’s such a busy junction. Thank you. I was amazed when the colour appeared with just a bit of added light. 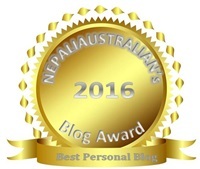 Congratulation on winning NEPALIAUSTRALIAN’s Blog Award 2016. Please click the link for more details. Oh wow, thank you so much. What lovely news to wake up to. Hi Tara, the way the statue glows makes your photo look almost like a painting. Thanks, Louise. I like it too, it doesn’t get enough attention, I think.